You know what time it is! It’s Vacation Time! That’s why we’ve put together a list of vacation-ready pieces that you will LOVE more than the trip itself (okay maybe not but you know what I mean). Want to see what we have in store? Keep reading! You know what time it is! It’s Vacation Time! Okay I know what you’re thinking… “Pragya, all times are Vacation times”. You are correct! But This is the time when people have had enough and want to escape the 3 foot layer of ice on the roads and head to a tropical, beachy, mountain-y, sunny, island with mounds of seafood and all-all-you-can-drink margaritas. Trust us, we understand! That’s why we’ve put together a list of vacation-ready pieces that you will LOVE more than the trip itself (okay maybe not but you know what I mean). Want to see what we have in store? Keep reading! Alright let’s start with a super easy linen pant. You might be used to linen that is uncomfortable and too hot. But these pants are perfect for a walk along a beach with the sand on under your feet and rays on your back. This flowy linen pant is paired with a belt and has a stunning tropical flower pattern - how perfect is that!? These pants stand out with the colour itself. The beautiful and airy blush colour would look perfect with any top. 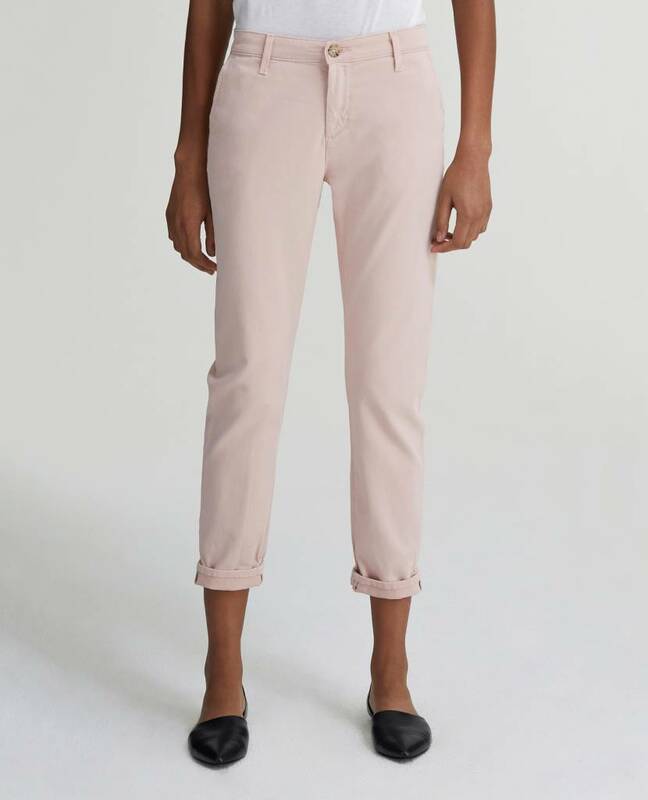 This tailored trouser pant has a relaxed fit through the hip, slight tapering at the thigh, and cropped ankle. The fabrication is a lightweight twill with comfortable stretch and finished with a subtle tortoise shell button closure. What I’m trying to say is, it’s perfect for the hours spent on a flight, OR dinner dates in any weather. Let’s be real, oversized t-shirts are extremely underrated pieces of clothing. This one in particular is so versatile! You can bring it with you on a trip and create so many different outfits with it! Dress it up with a belt and some boss earrings, and some leather pants and you have yourself a night out outfit. Or, dress it down and wear it with some denim and flip flops for days when you want to explore the city. Honestly all I really have to say is “please refer to the image”. This Tie Front Button Down Crystal Tie Dye top is the epitome of cuteness. It has an all over tie-dye pattern with a spread collar, long roll-tab sleeves with concealed front button closures, tie front and button cuffs. Pair it with some denim shorts for the days you’ll be hiking a little more, or with a skirt for more relaxed days where you will be sitting on the porch with a huge pair of sunglasses and a mimosa in your hands. It’s all in the name! 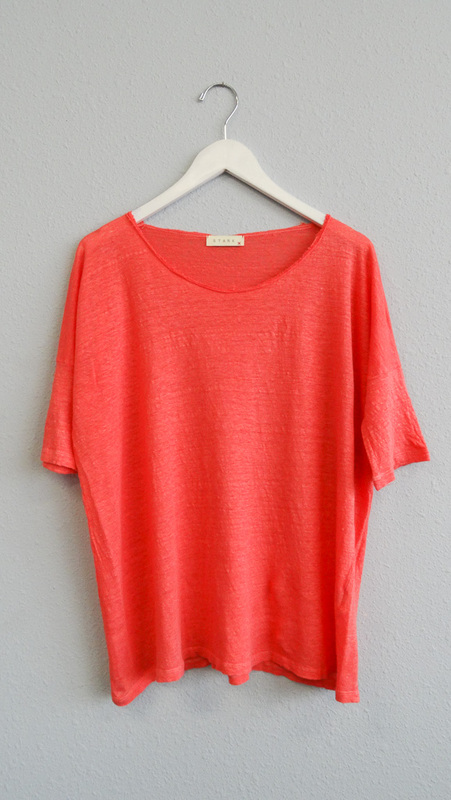 This flirty top is lightweight and airy for those warm days where you don’t want to fuss about what your wearing. The crinkled cotton creates an island vibe with a ruffle sleeve and peplum hemline. Pair this top with denim or high rise, high hem pants and some sandals for the ultimate vaycay look. Time and time again we hear women say they hate shorts. These shorts are for you. They are super flattering, easy to wear and care for. The perfect traveling short and easy to style. 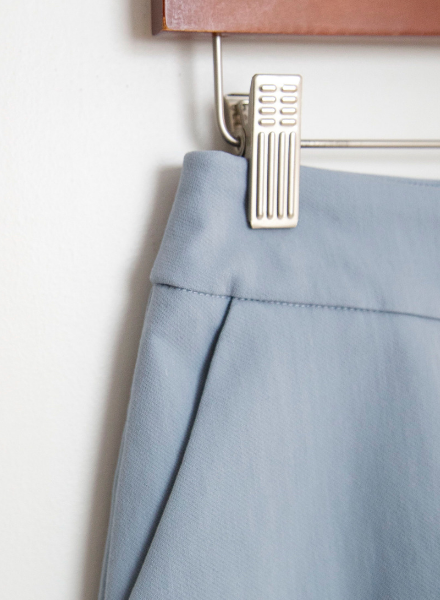 The dusty blue colour on these shorts make it the perfect casual piece for spring and those warmer months ahead of us. This girly and cute peplum-style top will look great on anyone! Pair this adorable top with your favourite boyfriend jeans for a laid back look. This fabric is super soft and easy to care for! Let’s not forget our best friend - the adjustable straps. This incredible linen button down dress is a perfect vacation piece for those getaways where you need an easy yet stylish dress. Complete with a belt and crochet lace trim. The slits on the sides allow for a bit more free movement so show off your legs beautiful! 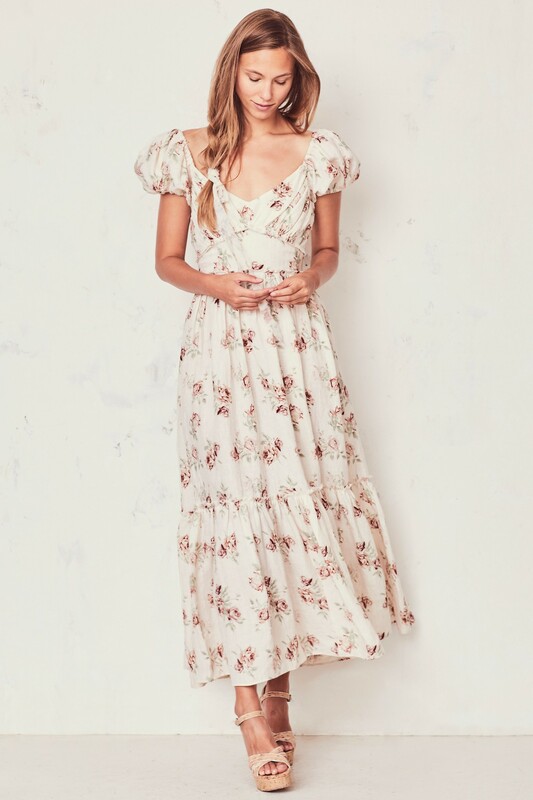 Pair this dress with some lace up sandals and a huge hat and you’re all set! An instant classic in linen with a hand-painted French rose print. This vintage-inspired silhouette features shirring at the bust and framing the wide, fitted waistband. Pert puffed sleeves have slits that offer a glimpse of the upper arm. From the waist, the skirt lets out into an easy, full sweep, interrupted only by a shirred seam more than halfway down to the ankle. You really don’t need much else. 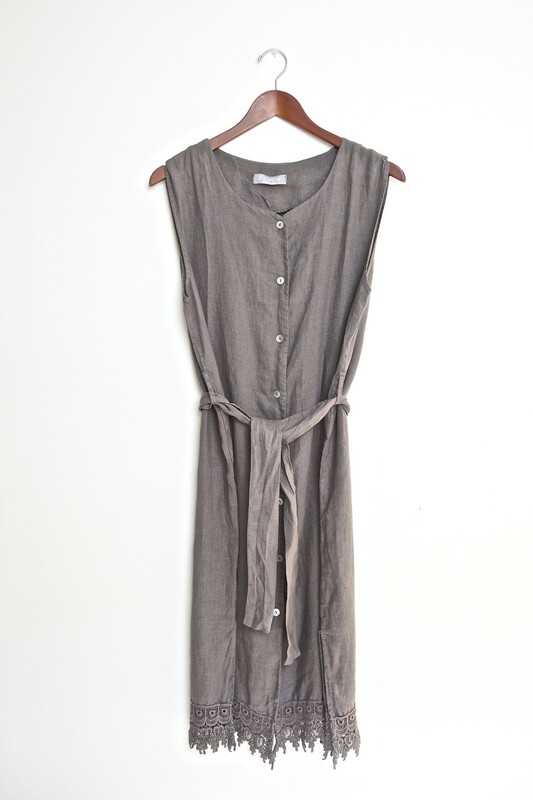 Bring this dress with some strappy sandals and wear your hair in a messy low bun! Boom! Tropical goddess! This cropped lace is perfect for a summer day. It is airy, an easy fit cotton piece which has inset lace panels on the tank straps and lining the top of the square bodice. 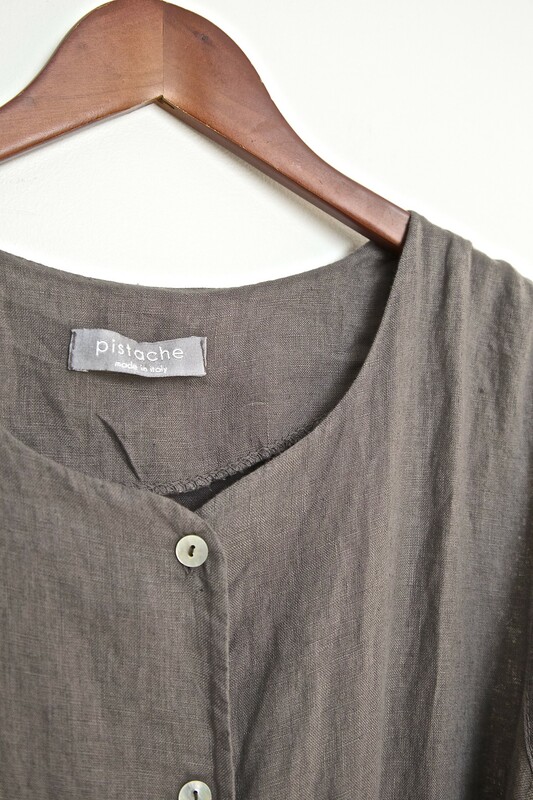 Functional center front buttons extend—alongside delicate pintuck detailing—to the bottom, which stops at the waist. Vacations don’t always call for light and bright colours. 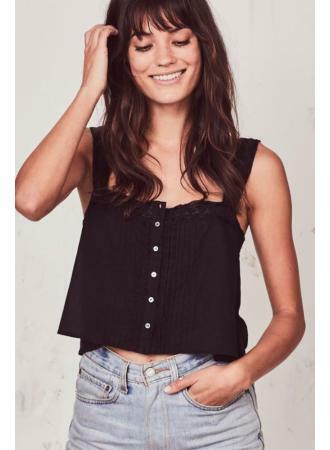 Go bold with this dark yet adorable cami! Now these two camis are bulked into one group because they are equally stunning and require the exact same compliments! The Everly classic style has a lace-trimmed scalloped deep neckline in a liquid silk charmeuse cami that is lightweight and slips on easily. Simply adjust the straps for a desired fit. Can be worn with a strapless bra. The Racer is crafted with soft and delicate lace trim, this lightweight, liquid silk charmeuse cami is your ultimate staple item. Feminine, classic and timeless, this cami will be perfectly integrated into your everyday style. Can easily be worn with a strapless bra as well. Essentially I’m saying that this is not just vacation material but it sure will look stunning in your beach pictures! Okay I have to throw in a sweater at some point because we all know those days that are a little chillier than you’d expected or those nights that will not let you rock your maxi dress by itself. This salmon colour is everything! 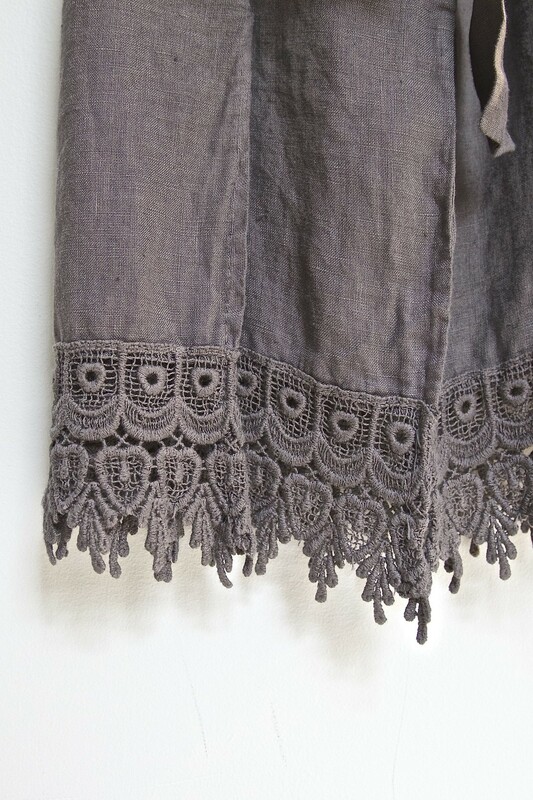 It is such a great layering piece over any of your slip dresses and even maxi dresses. It hits at the hip and the texture is to die for! 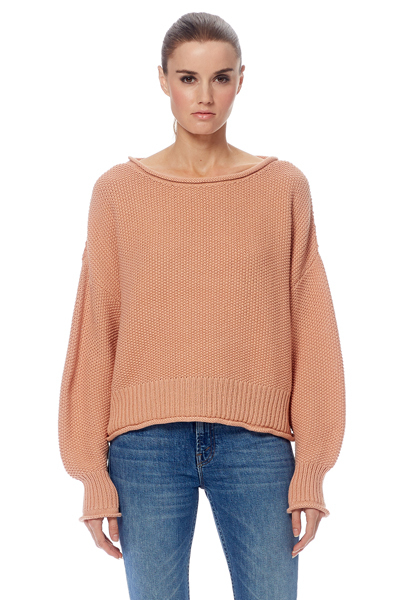 Don’t forget that this sweater is a great piece to carry with you on the plane as well!